Today was a pretty inspiring day! I was delivering on behalf of Volleyball England at the Youth Sport Trust ‘Lead Your Generation’ Summit at the University of East London. Young leaders from all over London came togeher to attend workshops, meet Olympic and Paralympic athletes and try out a variety of sports. The aim of the day was to provide them with skills and knowledge to organise and deliver sports for other young people at schools in their area. 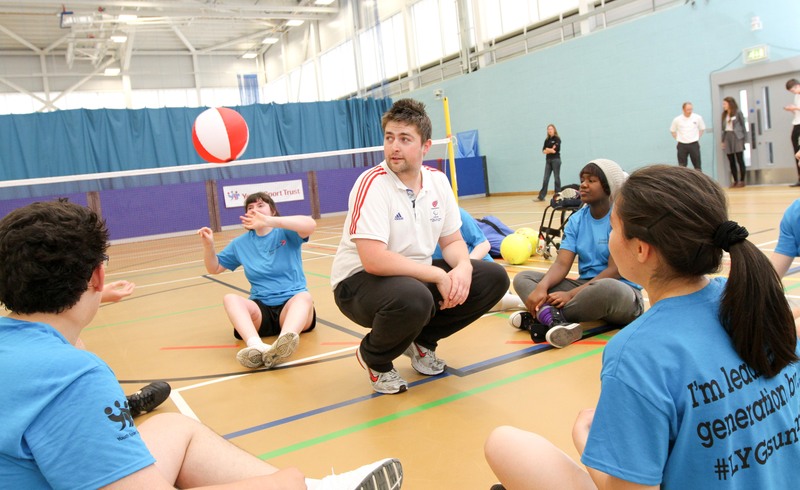 Throughout the day, over 60 teenagers played sitting volleyball in sessions which gave them an introduction to the sport and showed them a variety of ways that the sport can be adapted and played in schools. The energy and enthusiasm of the young people really was fantastic, they engaged in the sessions and were keen to ask questions and find out more. I think it’s safe to say the legacy of London 2012 is safe in their hands!